1) Chased from his pack and gravely wounded, Kaze collapses in the forest and waits to die. 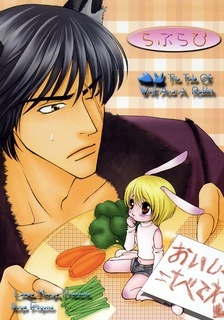 But a little rabbit has other plans for him... plans that don't entirely gel with the laws of the forest. 2) Kaze's friend comes to try and convince him to return to the pack, and the rabbit gets a name in exchange for a necklace of flowers.